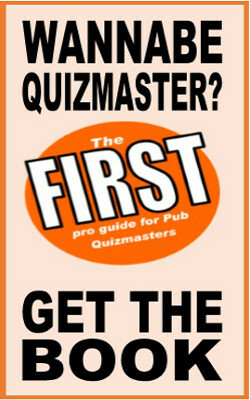 Free Quiz Questions about flags, crests and emblems. Topics include colours and designs and the odd anthem question. Which two animals are depicted on the Australian national coat of arms? Which European country has a two-headed black eagle on their flag: Austria, Albania or Norway? What animal is on the flag of California: snake, bear or eagle? Which animal is the national emblem of Canada? Which of these colours is NOT in the Italian national flag: red, white, blue or green? What are the two colours that make up the flag of the Congo Democratic Republic? Which of these countries includes a bit of green in their flag: Argentina, Bulgaria, or Cambodia? What’s the national tree of Lebanon? Which of these country’s flags includes the colour Green: Iceland, Greenland or Ethiopia? The flag of Libya is the only national flag in the world which is one colour only: what colour is it? What three colours make up the Jamaican flag? Which country's national symbols include the peacock, the tiger and the lotus flower? What country’s flag includes a picture of an eagle eating a snake: Mexico, Thailand or South Africa? What is the national bird of India: The Peacock, the hummingbird or the budgie? Along with white - what other colour makes up the flag of Turkey? What colour is found on the greatest number of national flags: red, yellow or blue? What colour of stripe is uppermost on the US flag? What two colours make up the flag of Morocco? Which two colours make up the flag of Bangladesh? What two colours make up the flag of Indonesia? What two colours make up the flag of Tonga? Which two colours make up the Turkish flag? What two colours make up the flag of Tunisia? What two colours make up the flag of Macedonia? Which three colours make up the flag of Chile? What country has the world’s oldest national flag still in use: Japan, Poland, or Scotland? What is depicted on the national flag of Ethiopia? A star, a moon or a chicken? What is depicted on the flag of Taiwan: a sun, a dragon or a moon? What is pictured on the flag of Cambodia: a temple, a sword or a goat? The flag of the Ukraine is Blue and what other colour? What colour is the cross on the Jamaican flag?